Allow your furry friend to become a part of our pack. At our dog boarding facility, we treat each pet like family. We encourage our customers to socialize with each other and maintain the positive and happy environment that everyone enjoys so much. 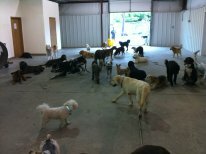 Since our company is both a boarding facility and a day care, the dogs get to play all day and are only in kennels at night time. 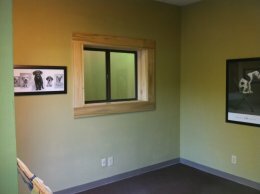 All of our kennels are individually climate-controlled with heating and air conditioning for your pet’s comfort.